I will be participating in the Mountain Mammas Art Show in Stanley, Idaho this weekend. I have done this show off and on for over twenty five years. Stanley is one of the most scenic places in Idaho. If you would like to see my photos and booth come to Stanley this weekend. I will be next to the road and will have many, many wolf photos for sale. This young male Northern Flicker looks out of the nest hole while waiting for his parent's to deliver a meal. It will be his last day in the nest as the entire brood will leave the nest the next day to start living on the wing. 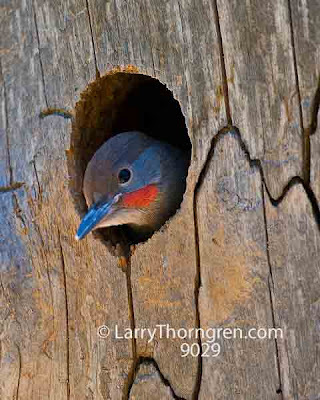 The stump and the bird are lit from the blue sky overhead, giving the whole bird a blue color cast. I liked the effect so I didn't change it. 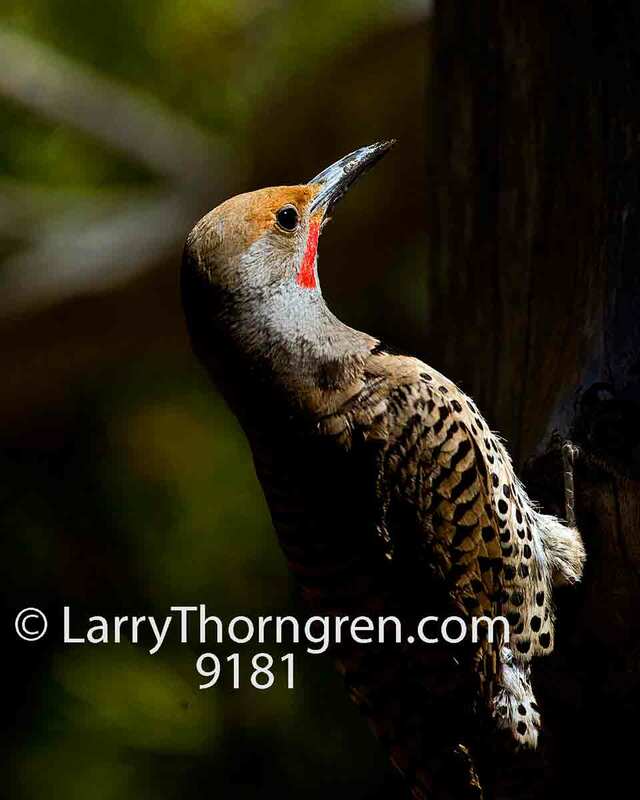 This male flicker has just returned to his nest with food for his family of young birds. 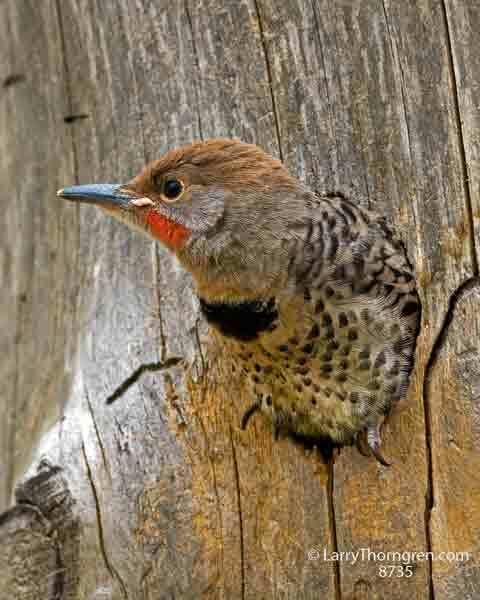 The adult flickers seem to be bringing ants and ant eggs to feed their young. They bring a crop full of food and regurgitate it into the open mouths of their hungry offspring.